People have fawned over Destiny's potential for years, circling the topic with deferential vagueness. This always confused me since the game itself was such a small and straightforward thing strung along by skinner box elements from World Of Warcraft circa 2005. Now Destiny 2 has arrived, and I finally understand why everyone had such a difficult time communicating what they saw in the franchise. They weren't talking about the game, which is just more solid shooting on a loot treadmill as a pathetically small number of environments scroll past. They were talking about the potential of the license. That potential has finally been realized by some godawful merchandise. 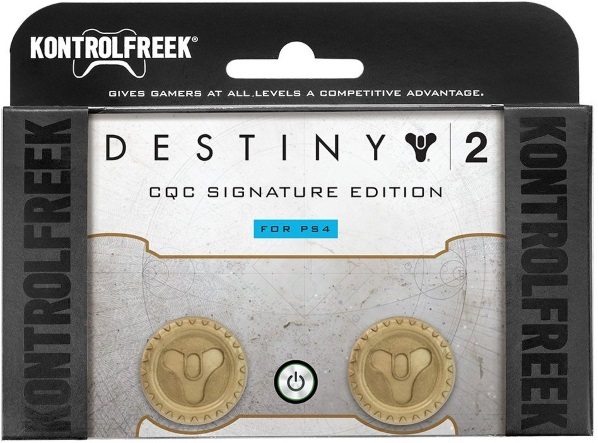 Product Description: "Kontrol Freek's Destiny 2 CQC Signature Edition is the perfect loot for gamers seeking victory in the Destiny universe. Developed in collaboration with the game designer, Bungie, this limited-edition Performance Thumbstick set is optimal for achieving the speed and steady aim necessary to play like a Guardian legend." On the one hand, it's trusted by pros. On the other hand, I was really hoping to increase my KDR by 27%. 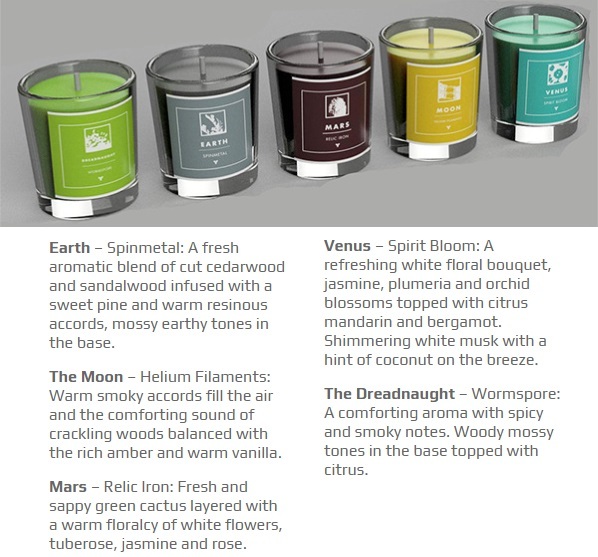 Product Description: "Light up your room and fill the air with the phenomenal scents captured by infamous Destiny gameplay." Sometimes you just want to smell the moon and contemplate the infamous Destiny gameplay. 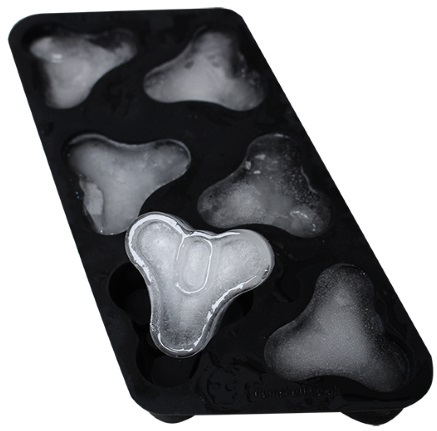 Product Description: "The black silicone tray is able to create 6 ice cubes at a time in the shape of the well-known Tricorn from Destiny. We can guarantee Tricorn shaped ice cubes are a lot more exciting than anything else!" I was going to mock the idea of ice being "a lot more exciting than anything else", but if I'm being honest with myself nothing in my own life has been more exciting since the mid-2000s. 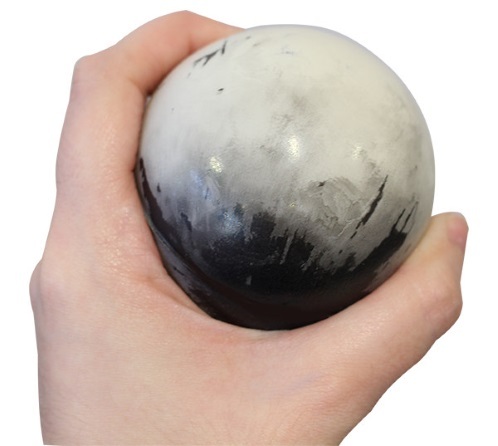 Product Description: "Take your anger out on our specially designed Traveller stressball. The design consists of muted blacks and beiges and has a lightweight feel - meaning if you do need to throw it in frustration you won't break any of your other incredible Destiny 2 merchandise!" This isn't exactly a criticique of the product itself, but the image above might actually be from an HD texture pack for Rise of the Triad. Product Description: "Our premium, fresh-looking white bathrobe is what all masters of Destiny need to be wearing for the best gameplay. The gold trim also adds an extra element of exquisiteness alongside the embroidered Guardian Crest logo and level-up icon. An ideal luxury gift for all Destiny fans." Question: Can I wear this and my Xbox Onesie at the same time? Or would everyone in the supermarket consider that a faux pas?